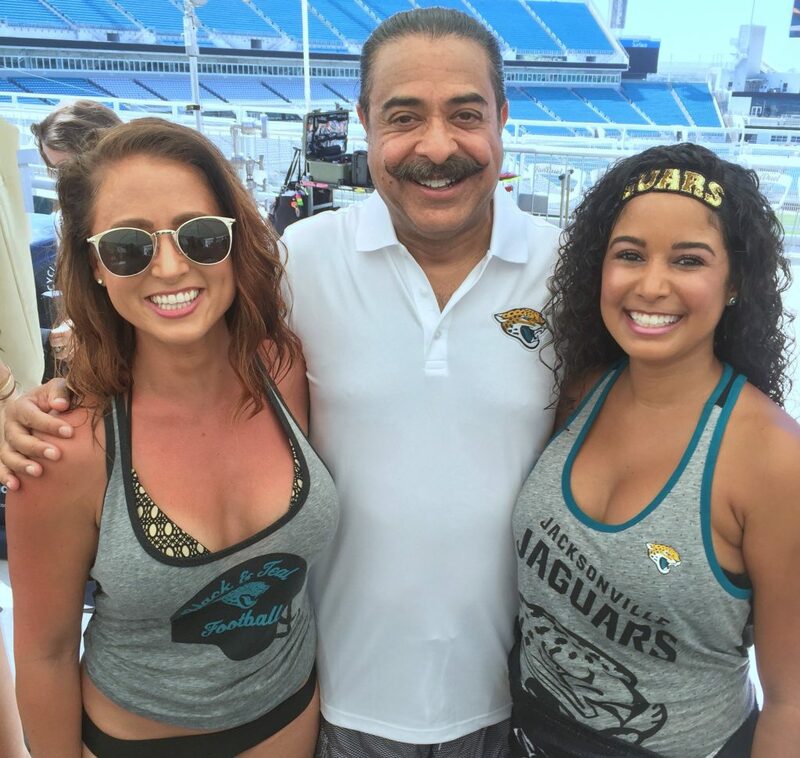 About a month ago, fellow Jaguars fan John Caputo asked if I would be interested in filming a commercial at EverBank Field with the owner, Shad Khan. Obviously I jumped at the opportunity and asked my friend Bri to come along for the ride. 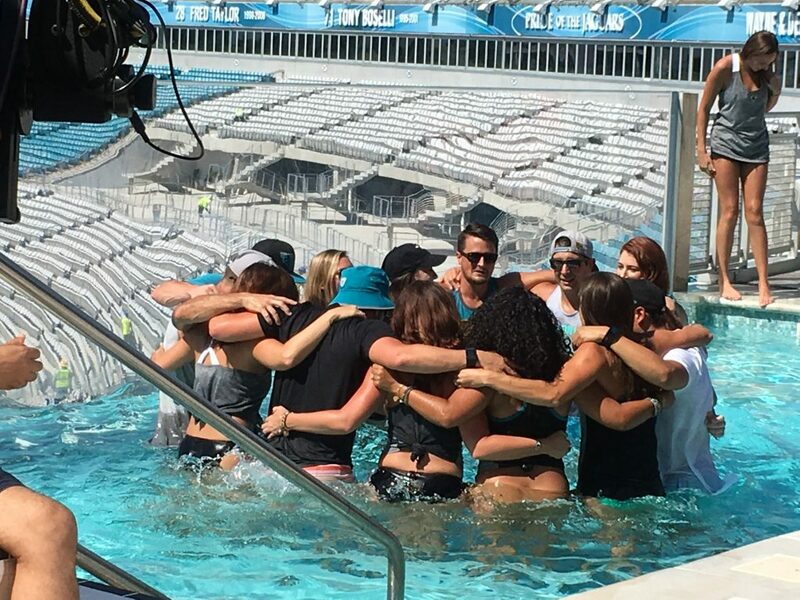 Little did I know it would lead to a day we’ll remember forever—complete with swimming in the stadium’s pools, drinking champagne before noon and chatting it up with the best owner in all of sports. The commercial theme was set around Motley Crue’s hit song Home Sweet Home with the idea all 32 teams would be represented. 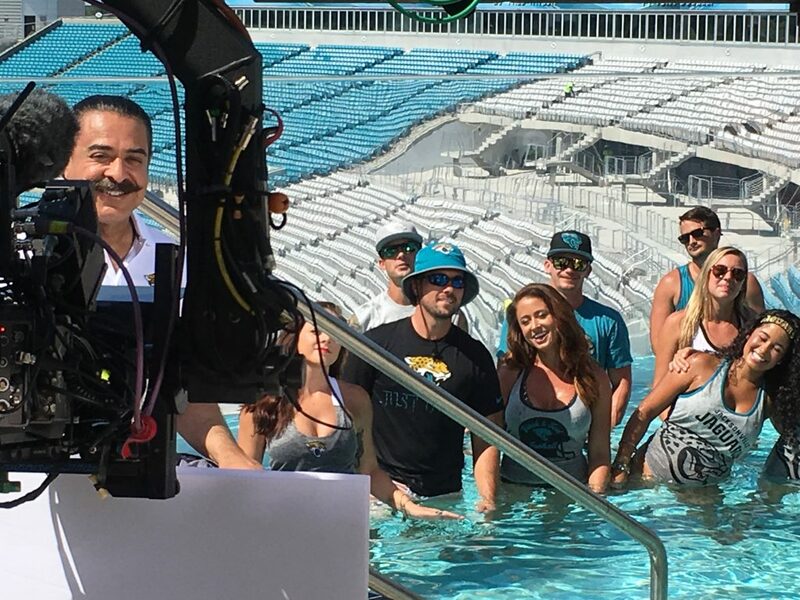 Myself along with a dozen other fans filmed a specific verse along with Jaguars owner Shad Khan and a few of the cheerleaders. When filming stopped hours later, Khan hung around the champagne drinking group and even turned music on the stadium speakers for us. It was one of those days where you look around and constantly want to pinch yourself. 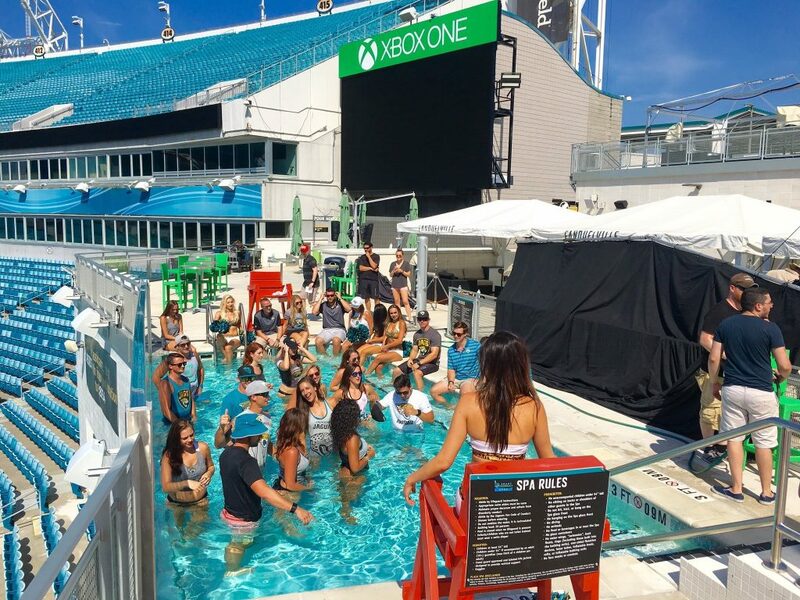 The commercial was supposed to air immediately before the Hall of Fame game this past Sunday. But due to field conditions, the game was canceled and the full commercial was instead released online. You can look for our cameo right up front around the 23-second mark. 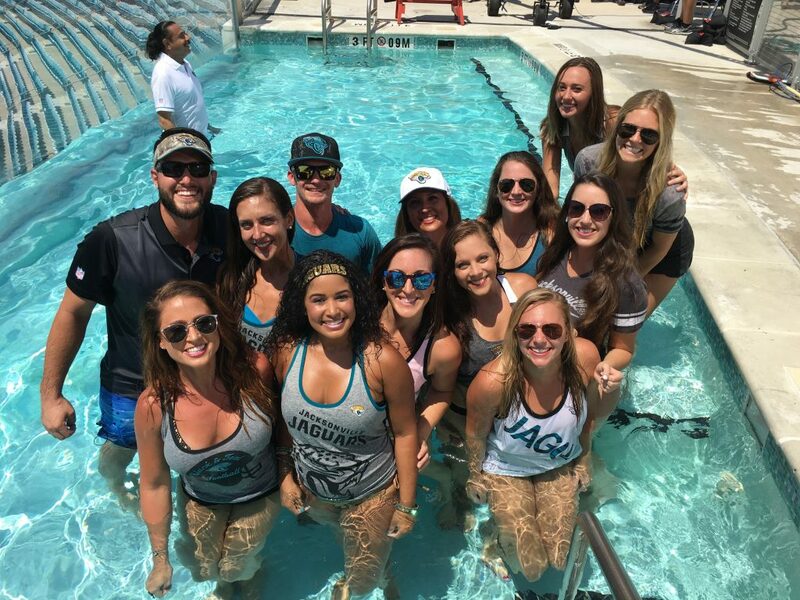 HUGE thanks to John of the Jaguars fan group, BCB, for linking me up. 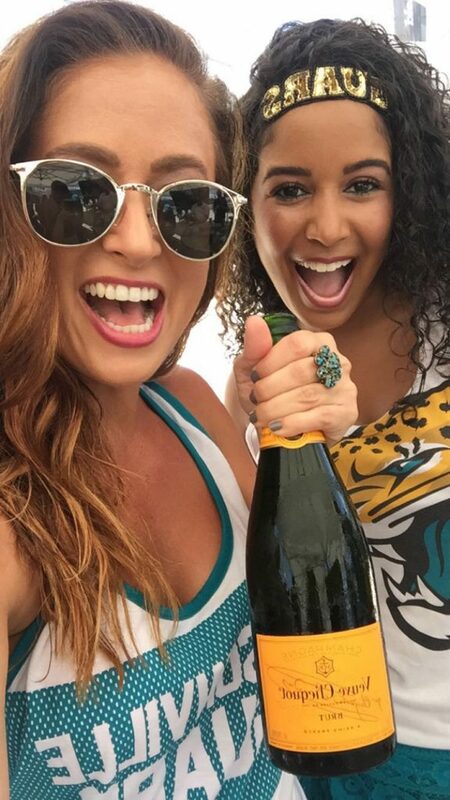 FYI—If you’re in the Jacksonville area on August 26th, be sure you hit up the annual season kick off party dubbed the BCB Ball. You can find more details here. Let’s get fancy. 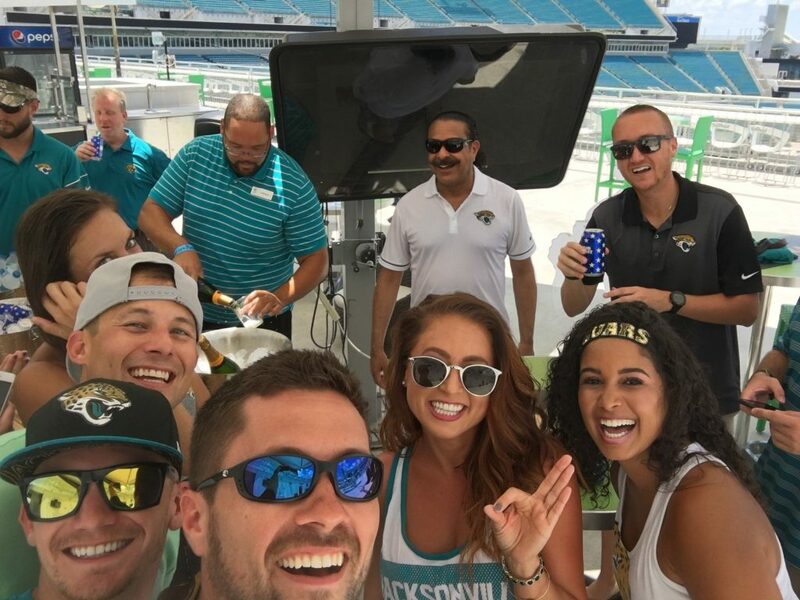 The post My cameo in the NFL’s ‘Home Sweet Home’ commercial with Shad Khan appeared first on GuysGirl.